Kelly is a travel agent with Destinations in Florida, and was hand-picked to specialize in helping readers of yourfirstvisit.net several years ago. She can help at 980-429-4499 or kellyb@destinationsinflorida.com, or fill in the form below. I asked Kelly to introduce herself—and here she is! 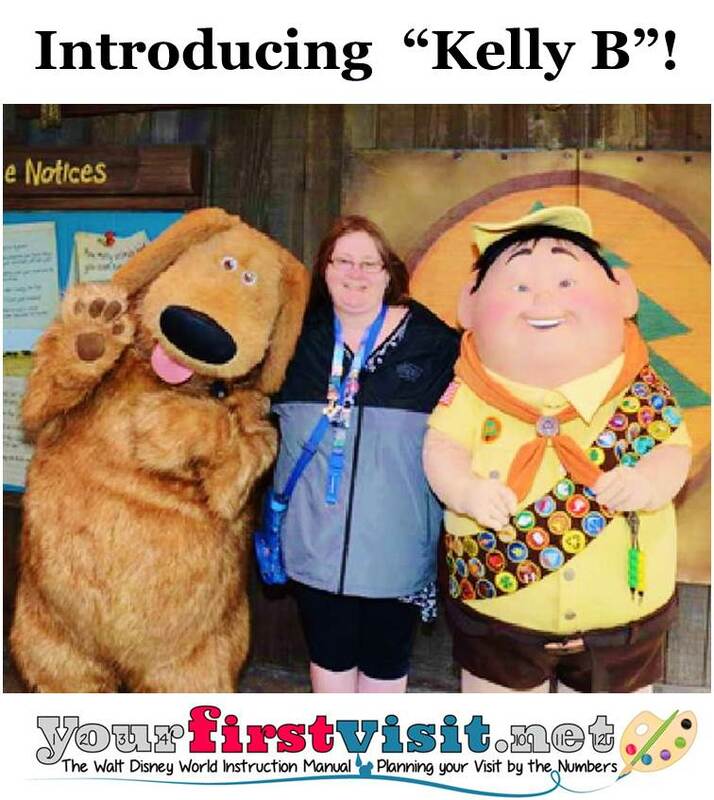 Hi I’m Kelly B, the official Destinations in Florida Travel Agent for yourfirstvisit.net. Travel has always been a part of my life. Family vacations during my childhood created snapshots in my memory. One of my first memories is being perched on my daddy’s shoulders to see the fireworks in the Magic Kingdom. It’s the moment my love for all things Disney began. As an adult my travels take me all across North America. I’ve lived in 9 states and visited over 25 others. But a permanent tag with “Destination: Walt Disney World” hangs from my luggage. No matter what, my heart always returns there. And now as a mother of 3, I’ve not only watched my children enjoy the magic of Disney from infants through their teenage years, but I’ve been able to continue to experience Disney and all of its magic. It was a dream come true when I was asked to become an agent with Destinations In Florida. As a travel agent I’m able to combine my love of travel, my fondness of planning and organizing, and my heart towards helping others, all into one. In addition to the knowledge I’ve gained from my own travel experiences, I continue to do specialized training in the travel field. I’m a graduate of the Disney College of Knowledge. I’ve also earned certification as a Universal Specialist, SeaWorld Parks Specialist, Orlando Travel Expert and Royal Caribbean Cruise University of WOW – Expert Level. If you need help planning your next vacation please contact me at 980-429-4499 or kellyb@destinationsinflorida.com. Give Kids The World – Our agency is proud to support one of Orlando’s local organizations called Give Kids the World. This organization is a 70 acre storybook village in Kissimmee where children with life-threatening illnesses are treated to a cost-free fantasy vacation. For every package booked with our agency, a donation goes to Give Kids the World. Thank you for helping support this wonderful organization. 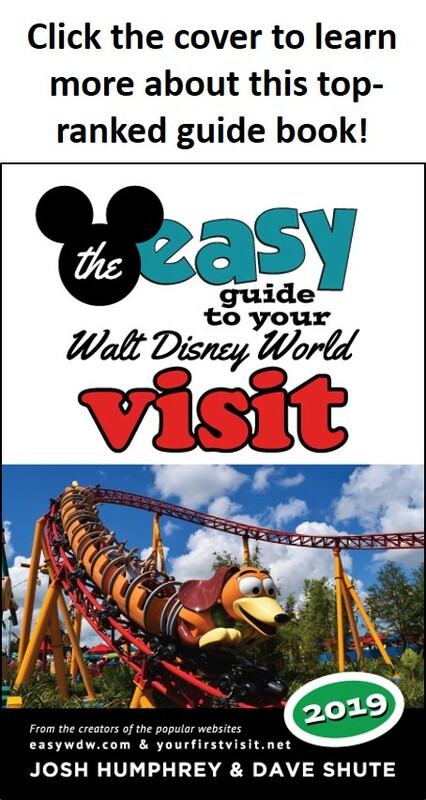 And if you tell me “Dave sent you,” then for qualifying vacations I’ll even send you a free copy of The easy Guide to Your Walt Disney World Visit! I look forward to helping you create the magical vacation of your dreams. I get great feedback about Kelly, and she’s been such a help to many readers of this site. If you book your Disney World trip through her, you get her great help, plus the benefits noted above. Much more important, Destinations in Florida then shares a bit of the commission they get from Disney World back with me, which I then use to take trips to keep the site updated! So use Kelly for your next trip, and we’ll all be better off! She’s at 980-429-4499 or kellyb@destinationsinflorida.com. Follow yourfirstvisit.net on Facebook or Google+ or Twitter or Pinterest!! Thank you Dave. It truly is such an honor and privilege to work with you and your fans. Hi Kelly! My family and I are planning a trip to Disney World in February 2016, flying in on Feb. 9th, staying hopefully on site if not too expensive, til the 14th and then heading to Port Canaveral for a Disney Cruise that leaves on the 15th. We have already booked our cruise through the Disney site and our airline travel through Alaska Airlines. We would really like some help in planning the rest of our trip. We would like to stay on Disney property if possible but because we are spending a lot on the cruise we are hoping to save some on the rest of the trip. I can purchase park tickets through work, a three day hopper with two extra days free for $339 for adults and $319 for kids but would buy them from you if the price is as good or better. Our party includes myself and husband, our single adult son, our daughter, her husband, and our three beautiful grandchildren, ages at the time of the vacation 7, 5, and 2. We all get along very well and would love to either stay all together or with adjourning rooms. We would also need transportation to Port Canaveral on the 14th with accommodations for all of us for that night and then transportation to the ship. We are still not sure what our plans are for the end of our trip. We would love to have your help! Caroline, OK if I share your email with Kelly? Thanks so much for connecting here at YourFirstVisit.net. I got your email late yesterday and will be in touch with you shortly. Can’t wait to help you plan your WDW vacation!!! Rebecca, at those ages you have several options. You could focus only on the Magic Kingdom for two days (spread over three claendar days if you can–e.g. 2 mornings, an afternoon, and an eveinng, or you could add to the Magic Kingdom half days at the Animal Kingdom and Disney’s Hollywood Studios. Disney’s FastPass+ program now lets you pre-book three rides a day in advance, and you kinda need to do this NOW as those are very crowded dates and the best rides will disappear, leaving you with even longer lines. See this for how to do it. Hi Dave. Planning first visit. May go back, but not sure. Going with my 5 year old son who might hit 44 inches by our April 12-19, 2016 trip. Any tips on which days to be at which parks? We would like to figure in a nap time from 2:30-5 on most days. This way we can go back to the parks until close. Debbie, at that age there’s not much at Epcot and around half a day at AK and HS that’s appropriate (see this). So your afternoon naps will be most relevant for your MK days. Because of crowding patterns, an hour or two earlier will better fit the ebb and flow of crowds in the park. As a side note, my son is fearless and will ride whatever he can. His favorite is the spinning UFO where the floor drops out, so thinking he is ready for space mountain and the like. Based on reading your book and this site i should aim to ride those kinds or rides in the early morning with no fast pass+ or get a very late afternoon fast pass+ and perhaps only do a half day at the park that day and stay late for a show? Debbie, yes! Early morning plus FP+ plus a late return for the shows, or late FP+ plus shows–either works! Dave, My family and I are planning our FIRST trip to Disney World around the first week of June, 2016. It will be my 14 year old son, my wife and I, any tips on what days to be at which parks? We would like to get reservations at one of the resorts inside the park for convenience, but hoping to stay on a budget as well. I have heard about Fast Passes and the such and have also heard that with the FP you can take a break back at the resort later in the afternoon and return to park activities in the evening. Any and ALL help to get the most out of our visit and the best “bang for our bucks” would be greatly appreciated. I’ll text you as soon as I’m off the phone with Disney (Hurricane Irma has caused quite a stir. Our wait times are hours long.) Thanks for your patience!!! I’m planning a WDW trip for January 2019 with my daughter and 5 y.o. granddaughter. My son and daughter-in-law and their two kids (5 and 3) are also going with us. I’ve been to WDW many many times but would still like info on the any “bargains” or promotions or specials, although I know this is far in advance. Can you help me? I would love to help you and your family plan your Magical Disney Vacation. I’ll be in touch with you shortly. I did want to let you know that Disney has not yet released it’s 2019 packages. They usually do that towards the end of June. But we’ll work together before than to start planning so that you are ready to book when prices are released. Hi Brittany. Thanks so much for reaching out. I would love to help you plan your vacation. Could you send me your email? (kellyb@destinationsinflorida.com) Or let me know a good time to call tomorrow? My regular office hours are Mon-Fri 9a-5p Eastern time. I got your email and am looking forward to talking with today!